See how XpressCollect could help your financial institution. With the same precision as MeridianLink’s best-in-class products for loan and account origination, web-based XpressCollect provides a robust, powerful, easy-to-use collection platform that maximizes efficiency and minimizes cost. 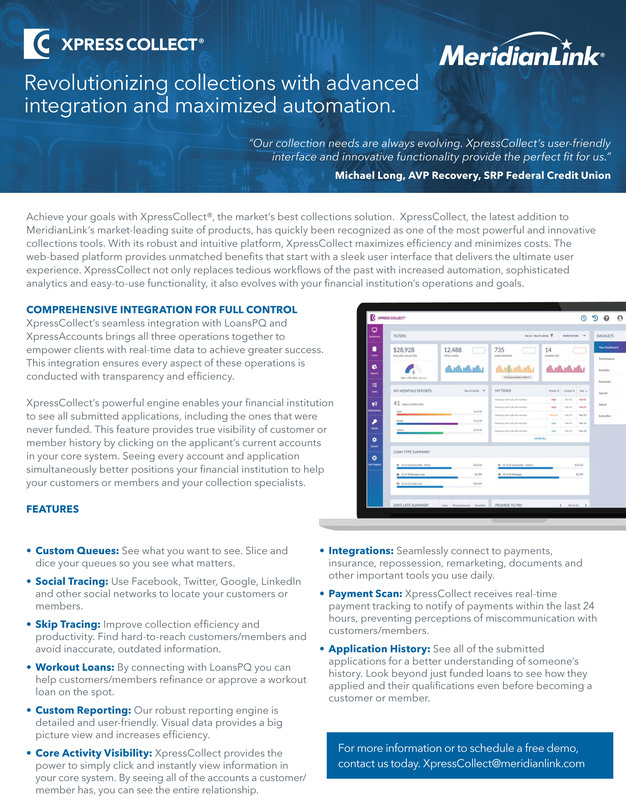 Review the major features and benefits of XpressCollect in one handy document!